I have always liked doughnuts. I do not think I have had a doughnut in three years. Sometimes I miss having a jelly doughnut or a danish. 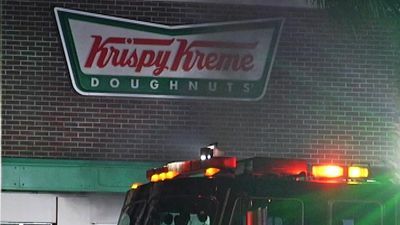 Our local Krispie Kreme recently burned down, giving a new meaning to their HOT DOUGHNUTS sign. I have never gone to a Krispie Kreme or eaten their hot doughnuts. I don't know why they never appealed to me but hey: anytime a sugar encrusted fried food does not appeal to me it is a great thing. 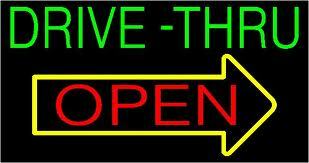 When the door closes on fast food place, does a window open at a drive thru? I never liked krispie kremes either. One of my kids, I think it might be the oldest, vomits immediately on eating that brand. We haven't had them in years and years, so we don't know if he outgrew it or not. Not looking to retry. The first and only time I ate a Cinnabon I vomited immediately. Never wanted to try it again.